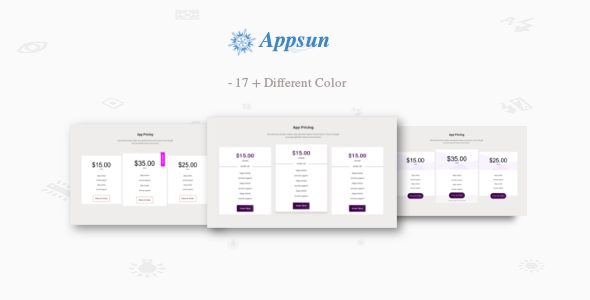 Appsun is a modern Css Showcase. It’s have 20 styles . You can use this prici plan on your website easily. Documentation file included for installation.